Unless money doesn’t matter, you will never drive a car that’s more fun. The only limits on corner speed and acceleration are the groceries in back and your passenger. With the upgrades the horsepower is somewhere north of 260. I’ve not had the chance to push it, that’s a LOT for this little car. Don’t be surprised if I cry when you buy it but I have to sell after becoming disabled and having to change jobs. Purchased from an auto broker that deals in high end cars In Minneapolis that had gotten it from an older couple in WI. 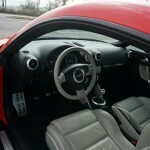 All work was done at Valley Imports in Fargo, an expensive but worth it dealer. The 2nd time I drove it I slid into a parked car in a parking at about 3 mph, Progressive took it and had all the plastic and lights replaced in front. 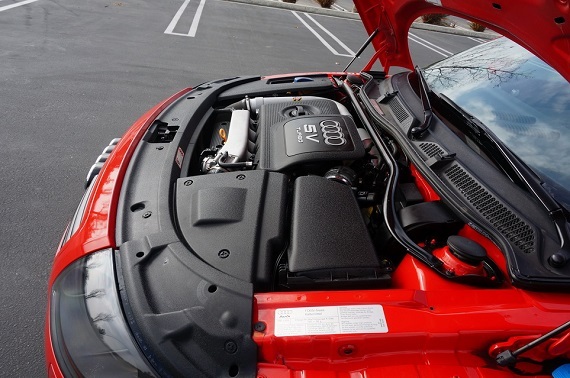 I’ll clean the air filter and change the oiled before you get it….it’s stored in a heated garage. 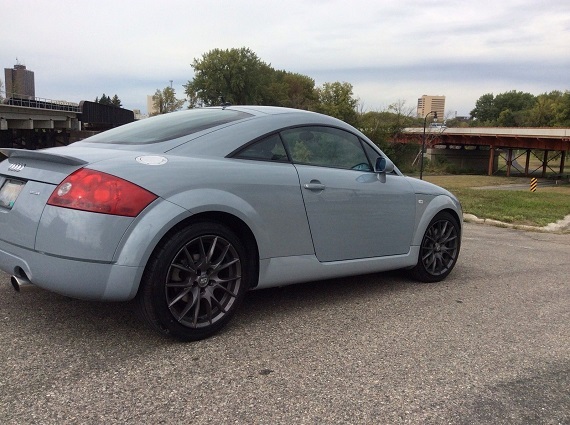 I’ve always had a soft spot for Aviator Gray Pearl Effect on the TT; it’s a really striking color to see in person. 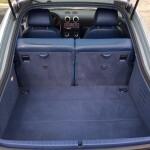 Thankfully, often these TTs were paired with great interior shades as well, and the Denim Blue shows well. Most of the modifications are top-dollar items, though I’d drop the MSW wheels and remount the original forged “Fat Five” wheels which are included. 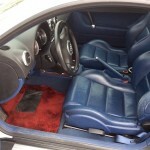 Outside of the red floor mats that are pretty garish, there’s a lot to like in this budget sports coupe. 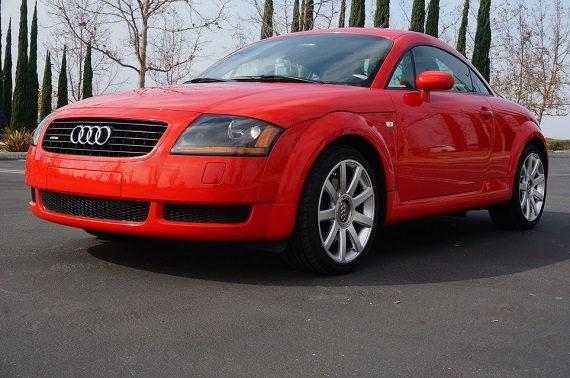 We’ll see if it clears the reserve price, but it should be a sub-$10,000 pocket rocket. 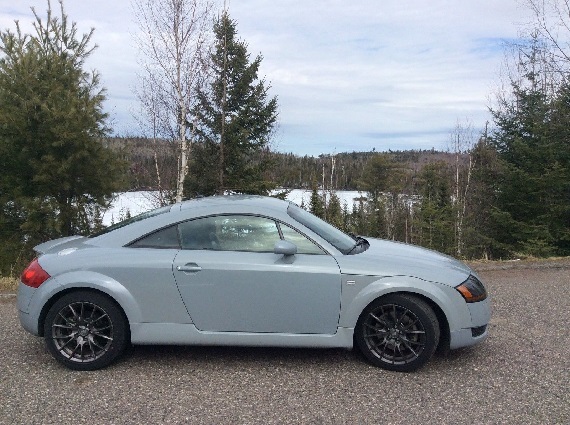 If you’re thinking more on the potential collectable front, the ALMS Edition TTs are certainly one of the more highly sought models. Though there were no appreciable performance gains outside of some stickier rubber, the color combinations and limited status of the production meant quite a few were treated well. This is not the lowest mileage example I’ve stumbled across but it’s right down there and the all-original condition is near perfect. 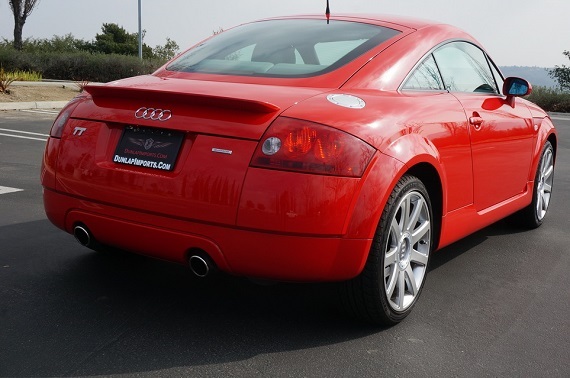 Pricing is fairly high at nearly $15,000 so this will undoubtedly not be an easy sale, but it sure is a pretty spectacular example of a great looking design in the right colors. For my money, I’d probably choose the Aviator Gray example. 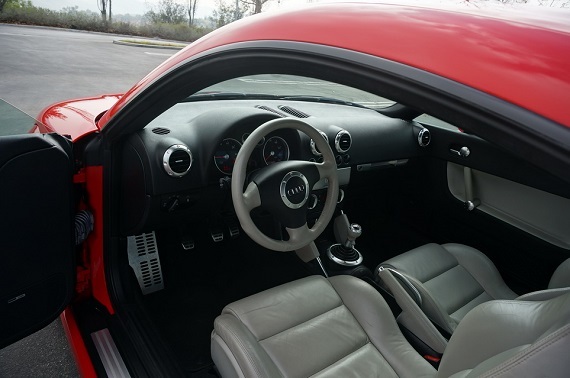 While the mods don’t really add any value to me, they’re relatively unobtrusive and could be undone fairly easily – though they likely enhance the driving experience. 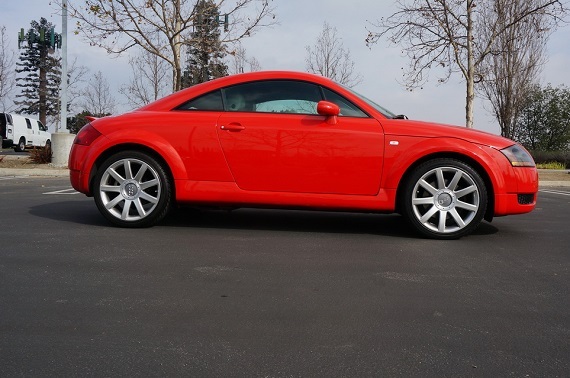 The TT may not be everyone’s cup of tea, but they’re great looking and good performing sports coupes that can be had on a very reasonable budget and should continue to be valued in the marketplace for the near future. 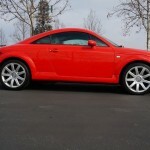 Tagged 1.8T, 2001, 2002, 225, 8N, ALMS edition, Audi, Aviator Gray Pearl Effect, Celebration, Fat Five, Misano Red Pearl Effect, Quattro, TT. 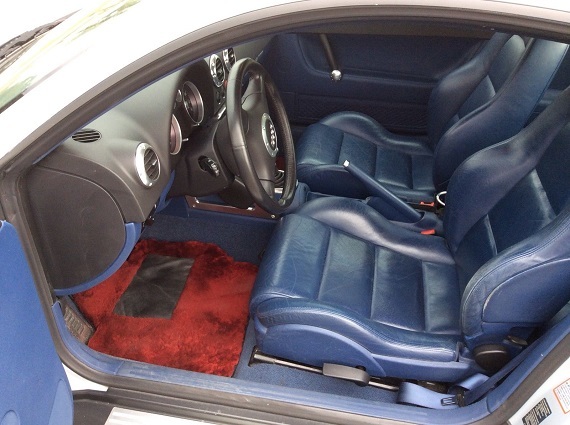 Where are all those baseball glove stitched leather interior cars? 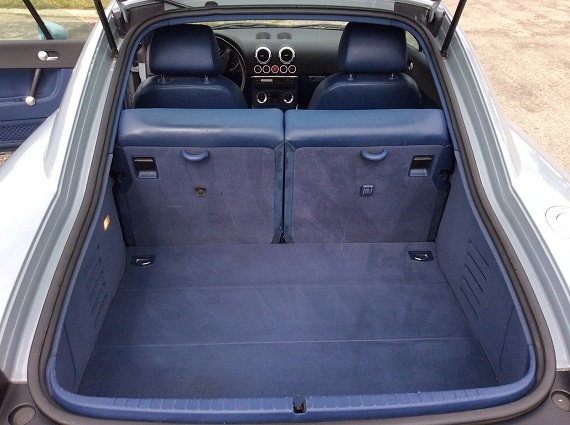 @Kelly, usually that’s an option seen on the convertibles. It’s pretty neat! I like both paints. The red is a nice shade of red. What a let-down to pair it with gray. Should be saddle or baseball! I like the red’s wheels and obviously don’t like the other ones. The 01 is a striking color combo. @ Carter ; Long time reader , first time poster . 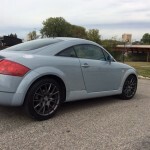 I am a novice , but almost 15 grand is the ask for this car and they couldn’t put better tires on the TT ? @Reg, good point, and I’d agree, I think it’s overpriced. But it’s not hugely surprising that a dealer wouldn’t ante up for premium tires and would ask high. Tires, ultimately, are pretty cheap; finding a clean, relatively low mile and unmolested special edition car, in comparison, is much harder. Thanks for chiming in! I purchased the Aviator grey example. I’ve been looking for a good one in that color for a long time. Hopefully this car is as good as it looks in the photos. Thanks for drawing my attention to the listing. @Joel, thanks for chiming in and let us know how it goes!